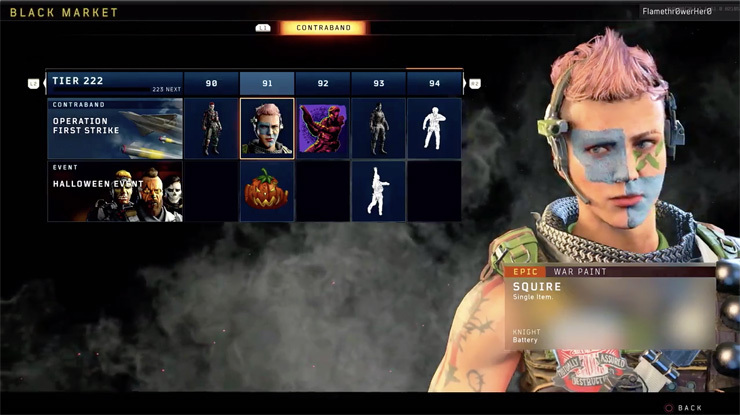 All the Black Ops 4 Players now are about to earn items by complete the progression of Black Market, which means a ton of new ways to show off your personal style. Black Ops 4’s Contraband Items will be seasonal based through Operations, with new Operation delivering new content every few months. The first Operation is Operation First Strike, and it goes live on PS4 today. All of these streams are free for all players. All-New Blackout Characters: New playable characters will be released with each new Operation. Specialists Outfits: Cool customization content built around themes for all Specialists in-game; you can even mix and match the look of your character within outfit sets. Tags / Gestures: Whether you’re taunting opponents or celebrating a victory, Tags and Gestures are a perfect way to express yourself in the game. The rewards as part of the system will be available in MP and Blackout. There will also be additional themed gear to earn with Special Events. The first Special Event begins October 20 on PS4 (coming to Xbox One and PC a week later) and lets users earn Halloween-themed gear through the free Halloween Special Event stream. Lastly, there’s also the new Blackjack’s Shop, which is coming in November. This allow users to get direct access of certain gear items through a store. The store will refresh weekly.